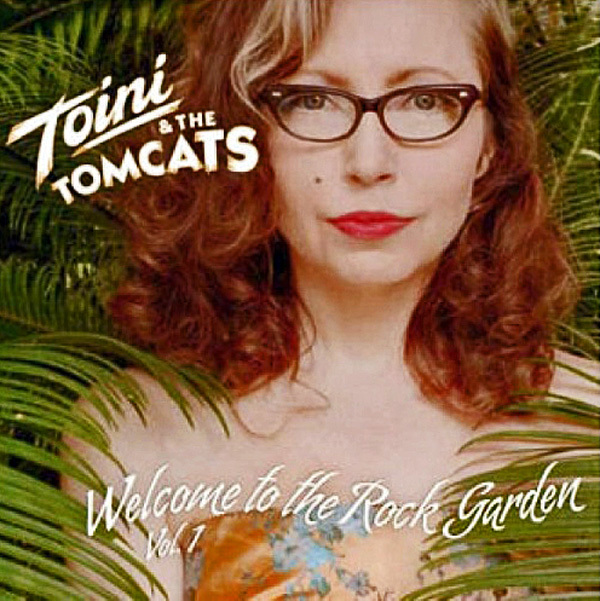 Welcome To The World Of Toini & the Tomcats. The clock hands of time are truly turned back when listening to Toini & the Tomcats as their largely rockabilly roots, sprinkled with a mixture of jazz, rhythm and blues and swing, among other things, provides an impression of a period in time that is long lost, but one that continues to resonate today with a number of people who pledged their allegiance to pretty much the memory of the second half of the fifties a long time ago. While the retro outlook of Toini & the Tomcats may suit those who remain members of a particular subculture, it would be criminal to suggest that the music of this Norwegian five piece only appeals to a minority of the population. 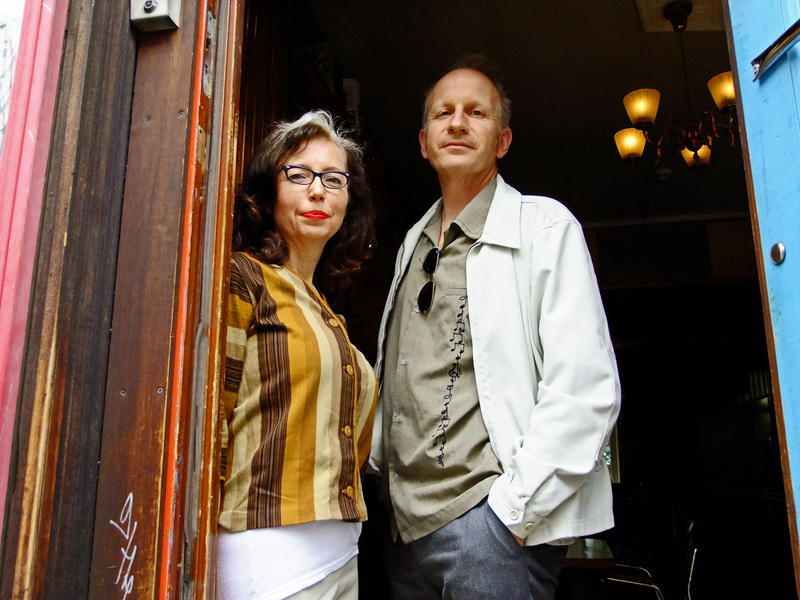 The truth of the matter is that a whole variety of music lovers have fallen for the predominantly rockabilly sound of the Tomcats, especially with their last two releases that were issued as a two-part set and both named ‘Welcome To The Rock Garden’. 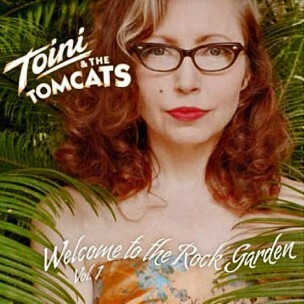 It’s these more recent albums which alerted the attention of Famous Last Words (FLW) to the music of Toini & the Tomcats, despite being reminded of one or two previous endeavours from the memory bank once ‘Welcome To The Rock Garden’ was released. Upon closer inspection, the two volumes reveal a band with oodles of talent and the priceless acquisition of experience on their side, as the flexibility at the centre of this band is evident judging by the twists and turns of the various musical influences involved. While Toini & the Tomcats is relatively new in our lives, these five cats have been together almost as long as time itself which, considering the aforementioned retro appeal of their music, there is definitely a freshness to their sound as indicated by such songs as the ska influence of ‘Like This’ and musically deceptive, due to its upbeat strum, ‘Love Never Dies’. Therefore, how does a band which has been together for such a lengthy period of time manage to retain such vigour and inventiveness in their music when many others would have called time on their creative pursuits a long time ago? With the band having formed in 1991 and remaining the same in personnel apart from adding one extra member to make it the five piece that it is today, also suggests another reason for the band’s continual success due to a relationship that has built over time, but one that is respected by the democratic process as identified by lead singer Toini. Intuition has also played its part when it comes to the Tomcats endurance as upright bass player and very affable Arne Ertnæs explains. Did you use a lot of cover songs during the early period of the Tomcats career when performing live? Considering the democratic working relationship of the Tomcats, how does this actually work when it comes to writing the songs? 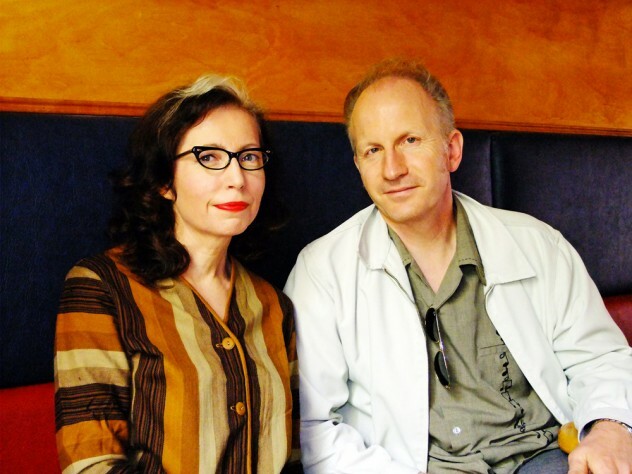 Considering the variety of influences with, in our opinion, rockabilly being the most prominent when hearing the Tomcats sound, it remains to be seen how the two Tomcats seated in front of FLW regard their sound overall. Has there ever been any negativity from rockabilly audiences in Norway because you perform original material rather than a set of covers, as well as mixing a variety of influences in your overall sound? Who do you regard as influences? “Personally, it started with Wanda Jackson, Little Richard, Chuck Berry, Eddie Cochran and Buddy Holly, if I should say five influences. Also, I started listening to some 20s blues when I was maybe 10 or 12 years old, and I really love Bessie Smith, Billie Holiday, Etta James and I could go on!” Toini finishes laughing. What was it like during the 80s in Oslo, for example, as bands such as the Stray Cats with that neo-rockabilly sound were really taking off in the UK? Were there many rock ‘n’ roll bands during this period in Oslo as well? “No, there were probably three or four who were into that genre, and the rest came along a bit afterwards,” answers Arne. “When I moved to Oslo in the late-eighties, there wasn’t many things happening, but when they did happen, everybody was there. You didn’t have a lot of choices back then, in the sense that you could walk down one of the main streets and decide which café or bar you’d like to go to because we didn’t have those options. So, in terms of music now, it is more accessible and you can pick and choose. They [younger generations] don’t know how lucky they are!” finishes Toini comically and knowingly mocking herself in the process. “I used to buy clothes and records by mail order from England because we didn’t have such retro items here,” recollects Arne. Any association with rockabilly royalty, including mention of Ronny Weiser and Toini & the Tomcats affection for this music obsessive and record label owner, actually extends to the biggest and definitely greatest of them all, Elvis Presley. While this association does not involve the King himself, two of Elvis’ band members – guitarist Scotty Moore and drummer DJ Fontana – invited both Arne and Toini to recording sessions at a studio in Norway. Cue the excitement at this revelation in the Tomcats’ history as there was no way FLW was leaving its front row seat without gaining some inside information on this famous meet ‘n’ greet. “Scotty Moore, in particular, was very good in terms of sound engineering, which he learnt from running his own studio after the whole Elvis experience and therefore he knows all sides of the music business very well,” adds Toini. After further discussion regarding all things Elvis straight on the back of Arne and Toini’s involvement with two of the original musicians from that golden age in American music when rockabilly made its fleeting mark on an unsuspecting world, talk soon returns to the Tomcats and, in particular, the band’s decisions to release their last two albums in two separate volumes. “And, you know, you get to meet the press twice instead of just once!” quips Arne. With it being a seemingly prolific period of song writing, how long did it actually take to record both albums? 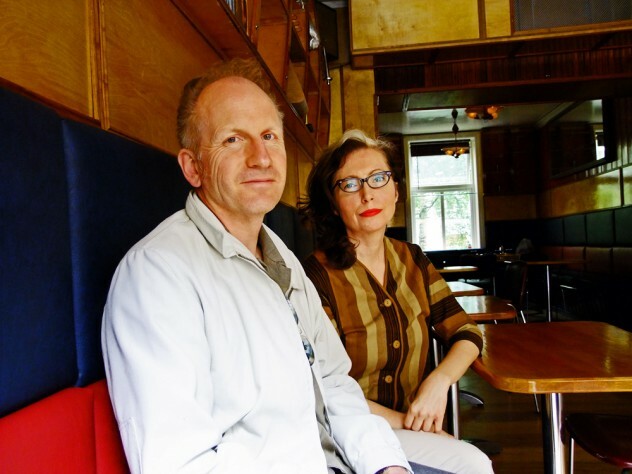 “We started to work on them years back, but we never got to finish them,” explains Arne. “Most of the recordings were finished in the first few weeks and then we came back to finish the last songs that were going to be on volume two,” says Toini. “We prefer to do most of the songs live, if possible, because you get the connection between the instruments better that way; at least the bass and drums and maybe the rhythm guitar that way,” Arne explains. Returning to the earlier discussion of Toini & the Tomcats first tentative steps writing and recording their own material during a period when the music industry was certainly a different beast to the one that it is today, it seems an appropriate juncture to ask the two Tomcats present whether they held ambitions of being signed by a major record label when they first started out? Love, indeed, never dies as FLW couldn’t be more enamoured that Toini & the Tomcats has finally entered our lives with their brand of rockabilly intertwined with various elements of rhythm and blues, country and swing that will see us singing their praises right until the very end, such is the quality of their songs and enthusiasm for music. In fact, this is one journey that is only just beginning as far as these cats are concerned because there is a lot more mileage left in the tank that should see their career run for some considerable distance yet. I heard this guitar tuning up and there was Scotty Moore sitting on his amp tuning his guitar, it was a very special moment." Famous Last Words (FLW) asked the question, Toini & the Tomcats provided the answer. Do you feel that rockabilly music is taken seriously and given enough coverage by the music press in Norway?